The 2018 UK tour dates for Canadian bluegrassers The Slocan Ramblers are out, so grab your tickets while they’re hot! This entertaining Toronto four-piece combines impressive virtuosity with a fresh contemporary appeal, and this autumn the band is set to delight audiences once again with their trademark combination of sizzling live performance and raucous energy. Catch them on tour across the UK from late October through to mid November – dates and listings below. 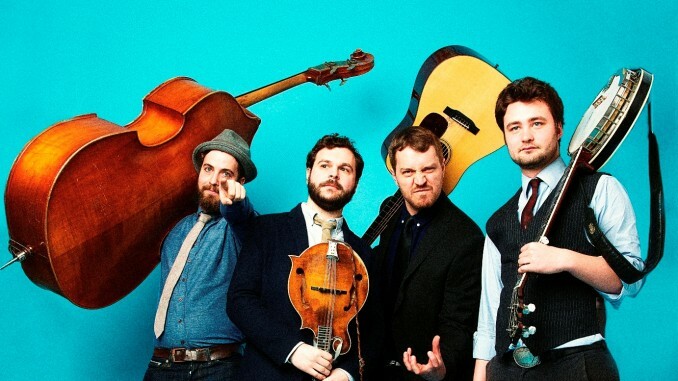 More details about The Slocan Ramblers can be found on our tour page here.